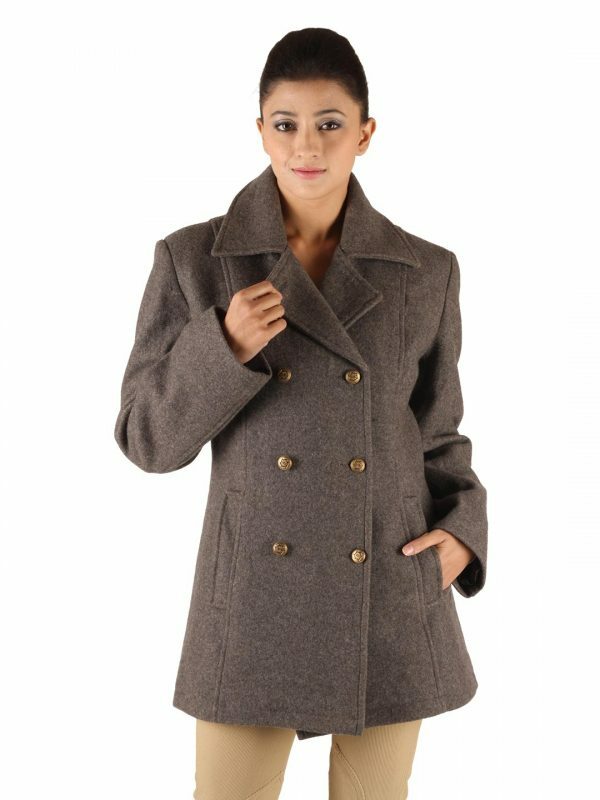 Ensure yourself top-most level of comfort by getting this Grey coloured winter coat for women by Owncraft . 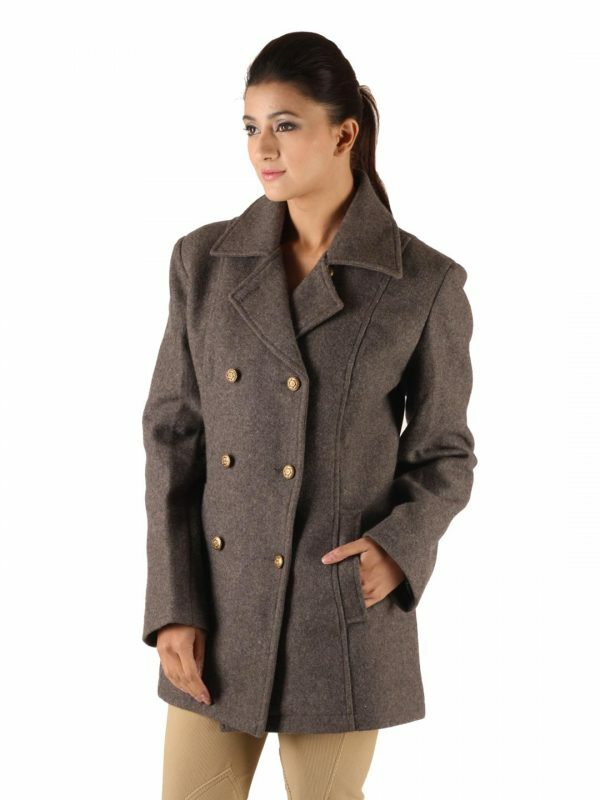 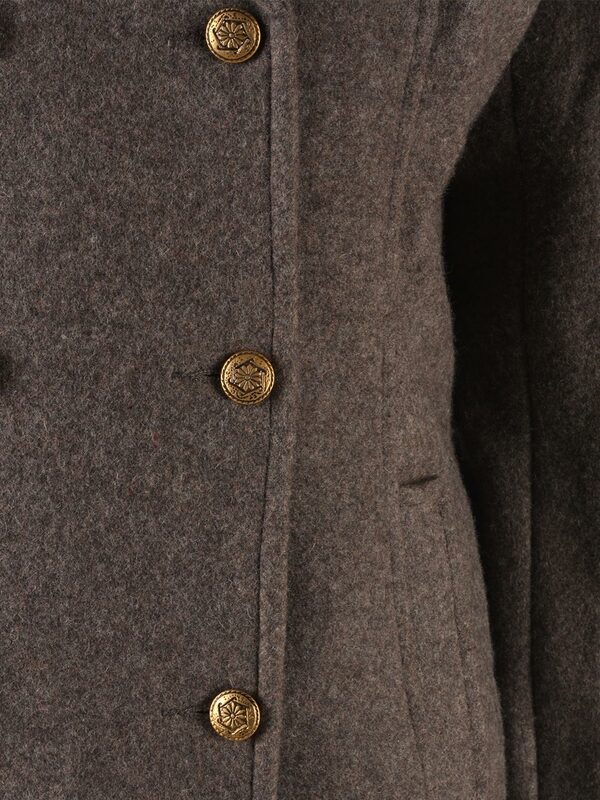 It is an essential pick to stay warm and cosy this season, as it is made from fine wool. 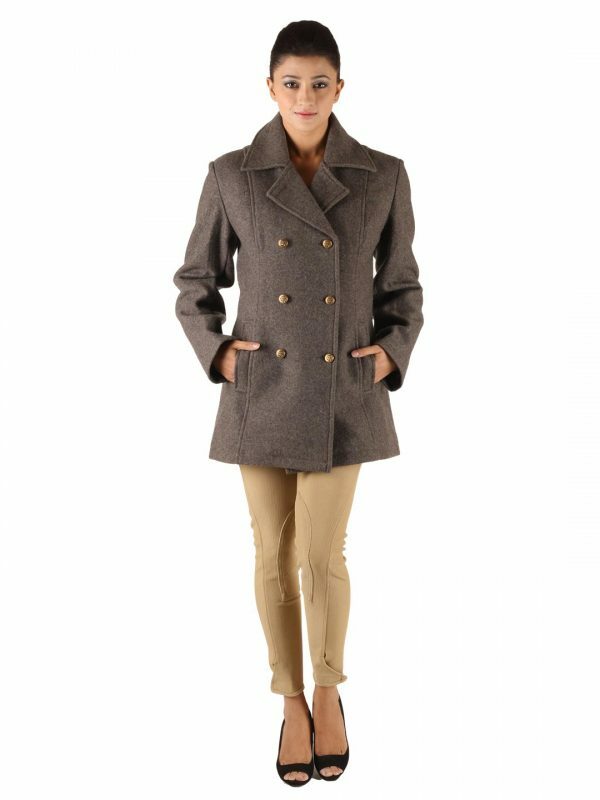 This jacket will also lend you endless style when you team it with a pair of jeggings and boots . 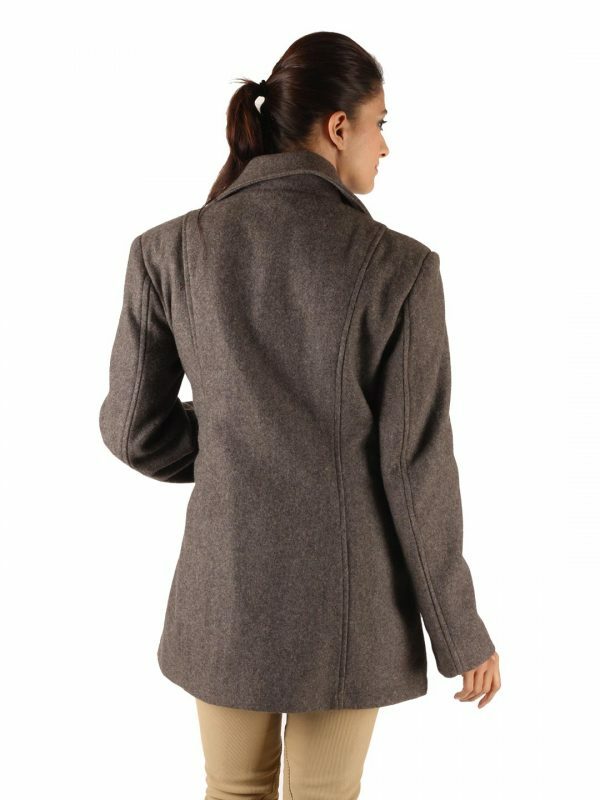 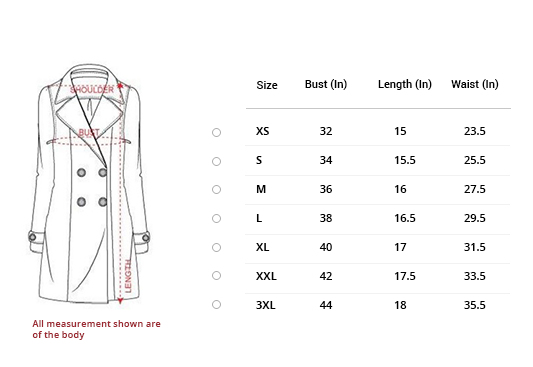 This double breasted long coat features stylish Notch collar , front button fastening , side slip pockets & long sleeves .